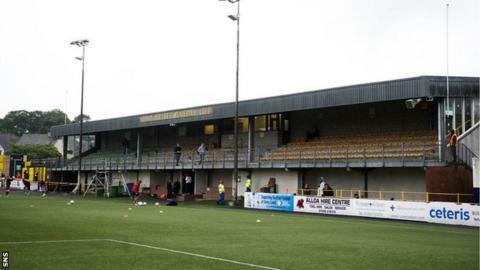 Alloa Athletic have revealed that their home ground will be named The Indodrill Stadium from Saturday, 20 September. The move is part of a 10-year deal with a global drilling contractor that will earn the Scottish Championship club a six-figure sum. Alloa's ground is currently called Recreation Park. Club chairman Mike Mulraney said: "This partnership between Indodrill and Alloa Athletic will see both parties benefit." And he added: "An international brand linking to our club is a further step in the journey we are on to ensure Alloa Athletic's long term success both on and off the park." Alloa currently sit seventh in the Championship table after Saturday's 4-0 defeat at Livingston.